Bromelain is a sulfur-containing protein-digesting enzymes found in pineapple fruit juice and stem tissue. Papain is a intramolecular protein-digesting enzyme (proteolysis) obtained from Carica papaya. 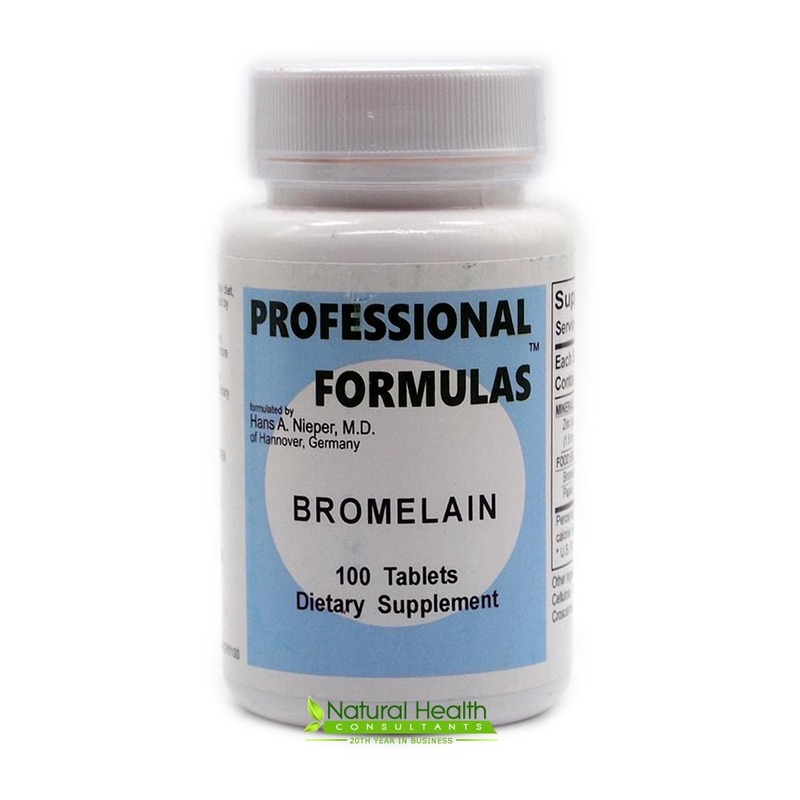 According to the Medlineplus website, there are "several preliminary studies suggest that when taken by mouth, bromelain can reduce inflammation or pain caused by inflammation. Better quality studies are needed to confirm these results. "It is proposed that bromelain may be a useful addition to other therapies used for sinusitis (such as antibiotics) due to its ability to reduce inflammation/swelling. Studies report mixed results, although overall bromelain appears to be beneficial for reducing swelling and improving breathing. Better studies are needed before a strong recommendation can be made." Take 2 tablets daily or as directed by a health professional. Support for aging kidneys, genitourinary or digestive systems problems.